An Australian-German team of scientists at Freie Universitat and the Queensland Brain Institute in Brisbane, Australia, has found a way to measure the attention span of a fly. 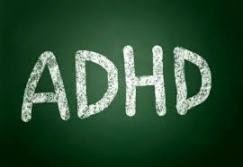 The findings could lead to further advances in the understanding of attention-deficit hyperactivity disorder (ADHD) and autism in humans. Associate Professor Bruno van Swinderen at the Queensland Brain Institute in Brisbane and Dr. Björn Brembs at Freie Universität combined genetic techniques with brain recordings and behavioral testing. They found different mutations that either increase or decrease a fly's attention span. Using the genetic fruit fly model, Drosophila melanogaster, van Swinderen found that a fly's level of distractibility is finely tuned to allow "normal" behavioral responses to a constantly changing environment. He said, "We now have the two ends of an attention spectrum in our model. We have a fly memory mutant that is hard to distract and another fly memory mutant that's too distractible. They both have the same result - they don't learn well but for completely different reasons, not unlike human patients afflicted with autism and ADHD." The fruit flies were fed methylphenidate, which is sold under the brand name Ritalin and is used to treat patients with ADHD. The researchers found the drug had similar effects on fruit flies as it did on people: it helped the distractible flies to pay attention to visual stimuli. "It suggests there may be similar pathways in the brains of fruit flies and humans, which means we now have a simple reductionist model, with all the genetic tools that go along with it, to try to understand what exactly this drug is doing," according to van Swinderen. Heisenberg fellow Brembs agrees: "These surprising parallels between insects and humans may point to a general, common functional organization of brains."